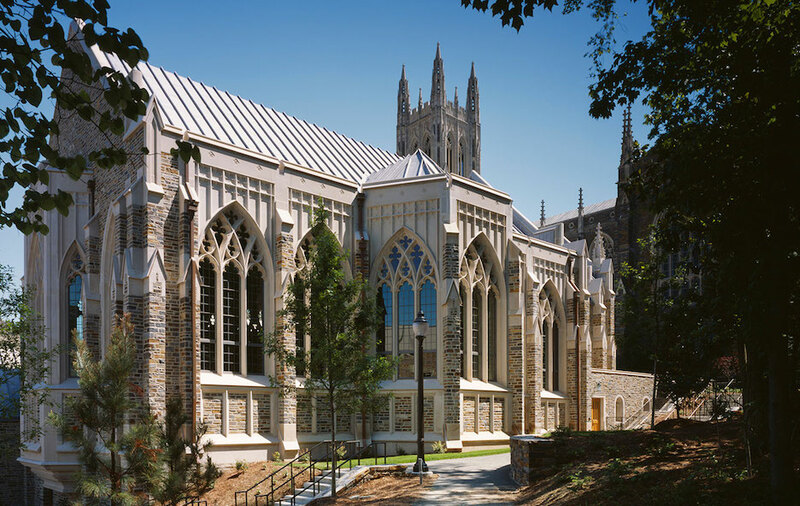 Duke University is one of the most frequently searched colleges in the United States, according to a recent internet keyword search of American universities. 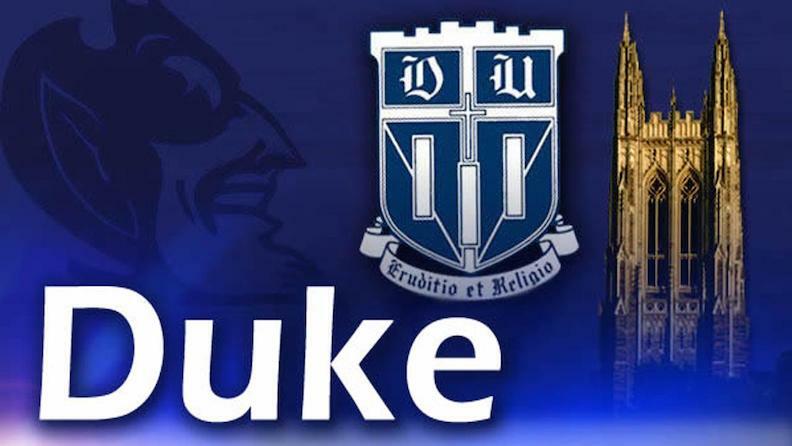 Established in 1838, Duke is a private research university that moved from the tiny town of Trinity, North Carolina to Durham, North Carolina back in 1892. The university was named after the deceased father of someone who made a large donation to the school. So the campus is adorned with a big bronze statue of Washington Duke, sitting comfortably in his chair, overseeing campus activities. Duke University currently maintains an enrollment of roughly 15,000 students, and is the largest employer in the city of Durham. The college's highly ranked curriculum offers undergraduate, graduate, and professional certificate programs. Regarding the acceptance rate at Duke, this school is considered one of the 10 most difficult universities in the United States to get into. Notable graduates of Duke include former U.S. President Richard Nixon, former Chilean President Ricardo Lagos, NBA Commissioner Adam Silver, Pulitzer Prize-winning author William Styron, and many others, including quite a few Nobel laureates, inventors, star athletes, and entrepreneurs. Duke is accredited by the Southern Association of Colleges and Schools Commission on Colleges (SACS). Shown above: A Duke University collage. Above: The towering Duke campus chapel. Here are the answers to some frequently asked questions about Duke University. 1. Where is Duke University? The main campus of Duke is located about five miles northwest of downtown Durham, North Carolina. The city of Durham is situated roughly 25 miles northwest of downtown Raleigh, and less than 20 miles northeast of Chapel Hill. 2. 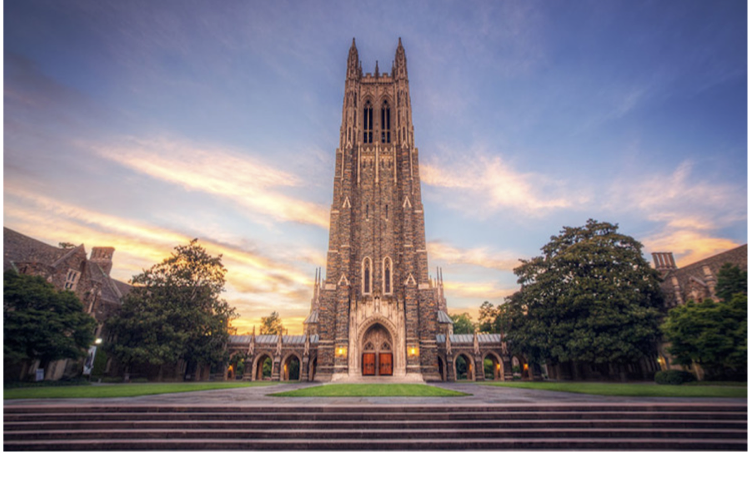 What is the organizational structure of Duke University? 3. What undergraduate studies are offered at Duke University? Above: The Rubinstein Library at Duke. 4. What graduate programs are available at Duke University? 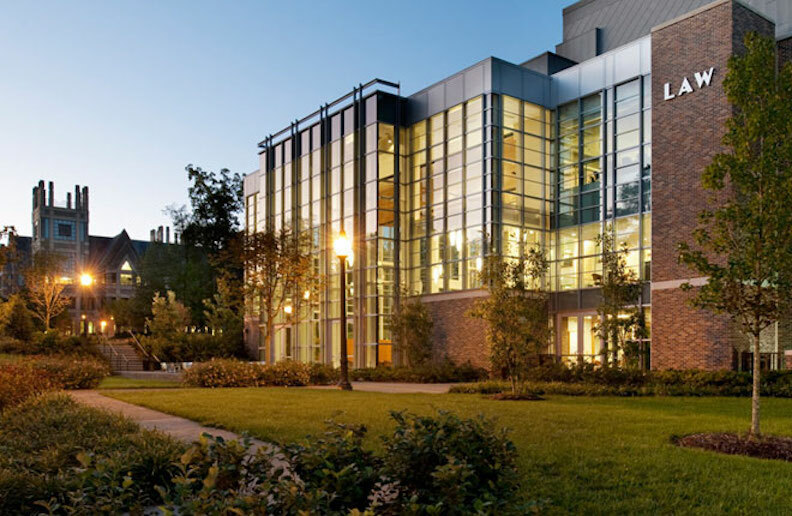 Click here to see a Complete List of PhD Programs at Duke. 5. What programs are offered at Duke Law School? There are also many dozen other classes offered at Duke Law. See the Duke Law website for a complete list. Above: The Duke School of Law. 6. How much does it cost to attend Duke University? According to the Duke website, the total cost of tuition, fees, and other expenses for undergraduate admission to Duke (before financial aid kicks in) is $75,370 per year. This estimate includes tuition, some fees, housing, food, books, supplies, and personal expenses. However, this estimate does not include certain other costs, such as transportation. Graduate school tuition at Duke may vary. For masters degree programs at the graduate school, the total estimated cost of attendance is roughly $40,000 per semester. This cost includes tuition, fees, food, housing, books, supplies, local transportation, and personal expenses. 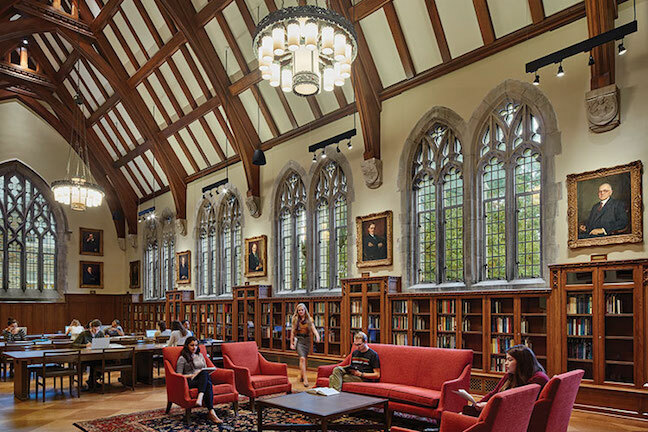 The total annual cost of tuition, fees, and other expenses to attend Duke Law School for the upcoming academic year is estimated to fall between $90,000 and $100,000. Other fees may also apply, such as application fees, parking fees, technology fees, health fees, and more. Financial aid is available, and may come in the form of grants, scholarships, work study programs, and private donations, among others. More than half of Duke's undergraduate students do not pay the full cost of tuition. Above: The Divinity School at Duke. 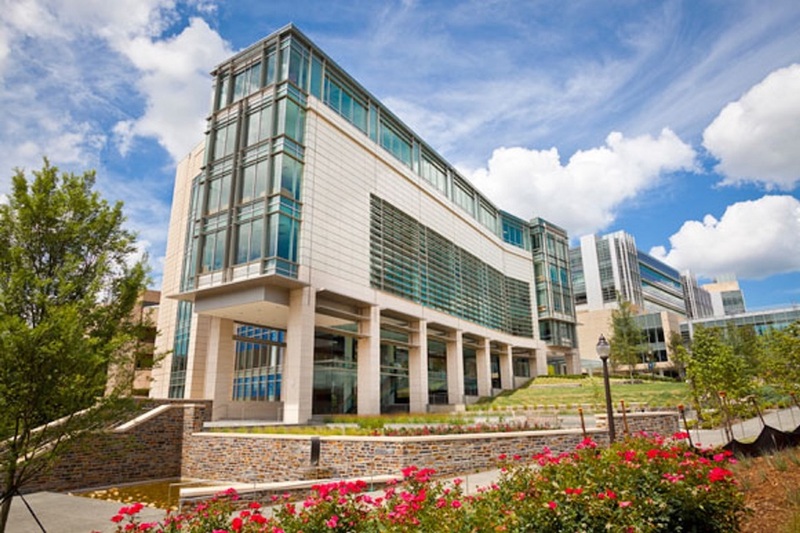 Above: The Duke School of Medicine, featuring Athletic Medicine and Sports Medicine studies, among others. 7. What is the Duke University campus like? The main campus of Duke occupies roughly 8,700 acres, of which more than 7,000 acres is Duke Forest. The rest of the campus is home to more than 250 buildings, many of them built in the Collegiate Gothic style, although some are constructed in French, Italian, Georgian, and modern styles. Many of the campus buildings are constructed with multi colored stones for visual effect. Campus attractions include the Sarah P. Duke Gardens, as well as five libraries, several museums, a Starbucks coffee shop, and many affordable places to eat. A free bus service shuttles students around campus. Student housing is available, both on and off campus, although students are required to live on campus for the first three years of attendance. The school colors are "duke" blue and white. 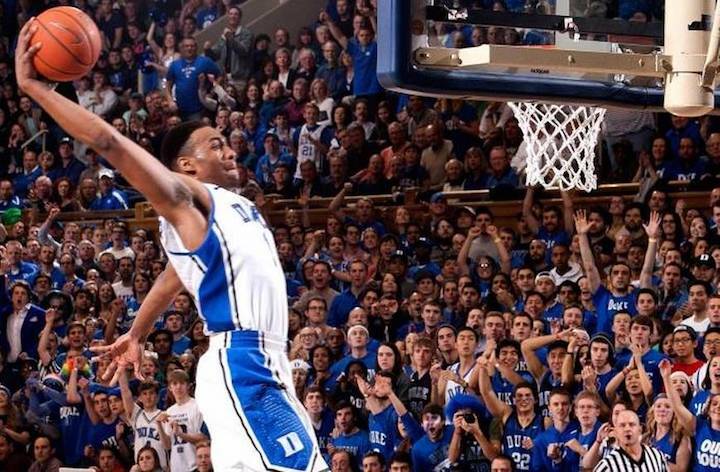 The varsity athletes at Duke are commonly referred to as the Blue Devils. They play for the NCAA Division 1 - FBS-ACC. Also available on campus are a number of club and intramural sports, such as some of the ones listed above, as well as badminton, cycling, dancing, equestrian, figure skating, sailing, water polo, and many more. Apart form sports, the Duke campus also features more than 400 student groups and organizations, such as the Black Student Alliance, the International Association, the Native American Student Alliance, and several students bands, as well as theater groups, science clubs, and hundreds more. Above: A Duke Blue Devil in action. 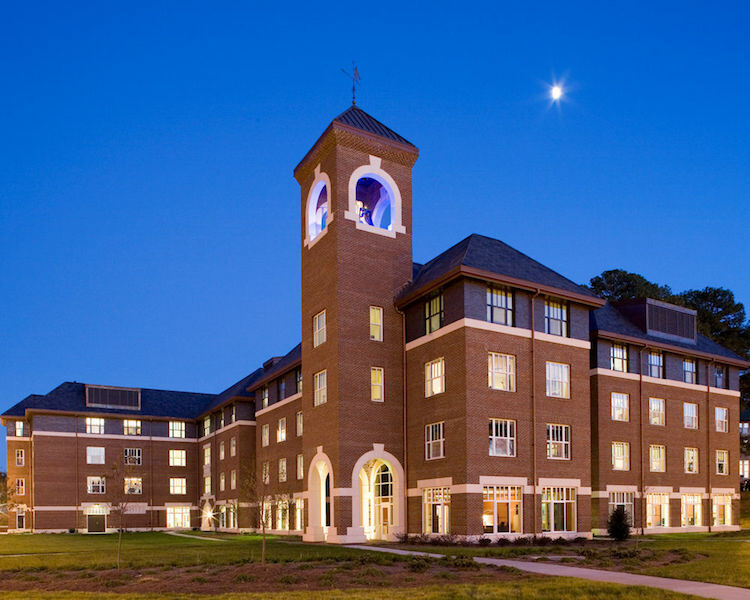 Above: An East Campus residence hall at Duke. 8. What are the distance learning options at Duke University? 9. What is the contact information for Duke University? To reach the main campus office at Duke, call 919-684-8111. For the undergraduate admissions office at Duke, call 919-684-3214. For information regarding financial aid at Duke, call 919-684-6225. To reach the Graduate School at Duke, call 919-681-3257. To contact the Duke Law School, call 919-613-7006. For the Duke Medical College, call Duke University Hospital at 855-855-6484. Above: Downtown Durham, North Carolina. 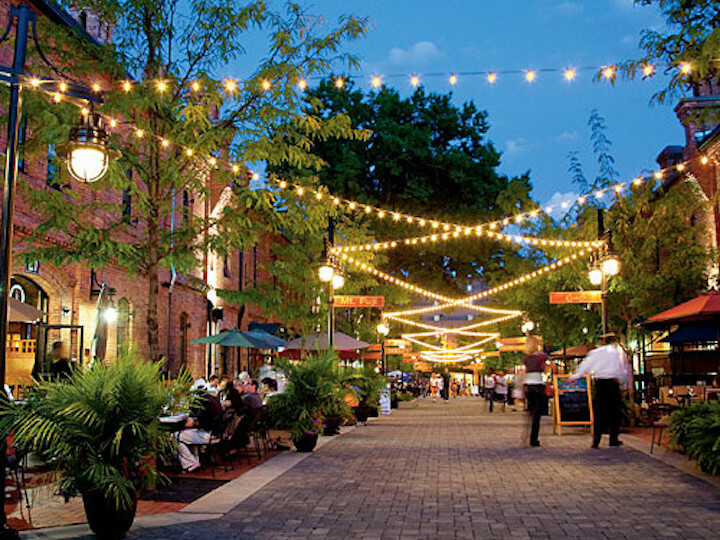 The city of Durham is home to approximately 250,000 people.